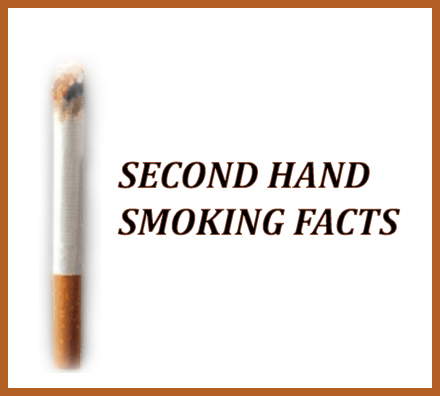 Second hand smoke has been classified as a carcinogen by the federal government since 1992. Despite this fact, we still see a significant number of adults exposing their friends, family, and children to second hand smoke. If you or someone you know smokes, the following are some facts that you may find interesting and hopefully help you make the decision to try to quit smoking for good. There are more than 12 million tweens and teens who live in a home where there is at least one person who smokes. Nonsmokers who are regularly exposed to second hand smoke are 25 percent more likely to get coronary heart disease when compared to nonsmokers. Almost three quarters of children in the United States have been found to have cotinine in their blood which comes from nicotine. More than 3,000 adults who don’t smoke die from complications attributed to second hand smoke annually. Second hand smoke has been found to be the cause of chest discomfort, reduced lung function, coughing, and phlegm in nonsmoking adults and children. There are more than 200,000 respiratory tract infections every year in children and infants in the U.S. Attributed to secondhand smoke which results in almost 15,000 trips to the hospital. Secondhand smoke increases the risk of children to get middle-ear disease or have reduced lung function. There are more than 3 million children in the United State who suffer from asthma or asthma-like conditions. Almost 1/5 of these children have more frequent asthma attacks due to the effects of secondhand smoke. There are more than 4,000 toxins found in secondhand smoke to include ammonia, formaldehyde, carbon monoxide, and more. Four known carcinogens are found in second hand smoke to include benzene, 4-aminobiphenyl,2-naphthylamine, and polonium-210.